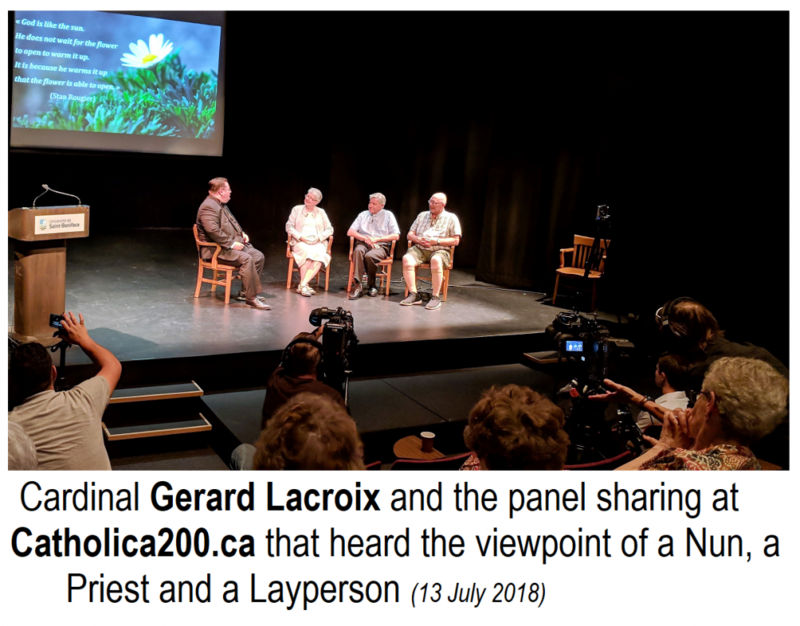 A number of extraordinary events have been planned by the Archdiocese of St. Boniface to celebrate 200 years of the Catholic Church in Western Canada. Special events have been planned to take place throughout 2018, including a Ukrainian Catholic Day in September, but the major weekend is July 13-15. The mid-July weekend has been labelled "JUBILATION" as it is three full days of events designed to celebrate Catholic history in Western Canada with the proper joy! The schedule includes indigenous peoples and Metis cultural and spiritual events... lectures.... solemn Eucharistic liturgies.... concerts.... displays..... and, as they say, "a whole lot more!". The major Divine Liturgy takes place Sunday morning at 11:00 AM. However, one of the highlights will be a re-enactment of the arrival of the first missionaries to the area. The re-enactment will involve a small flotilla of canoes carrying, among others, three Archbishops - Albert LeGatt (St Boniface), Richard Gagnon (Winnipeg) and Murray Chatlain (The Pas). His Grace Lawrence Huculak might have joined the entourage, except that, historically, Ukrainian missionaries did not come on the scene until almost 80 years later. Metropolitan Lawrence, however, will participate in the huge celebration together with other Ukrainian Catholic Bishops and many other Bishops from around Canada. Among the bishops and clergy will be the Papal Nuncio to Canada, Archbishop Luigi Bonazzi and Pope Francis special legate to the Jubilation celebration, the Catholic Primate of Canada, and Archbishop of Quebec His Eminence Cardinal Gérald Lacroix. See the full schedule and very helpful maps (and even parking instructions!) at the CATHOLICA200 website. 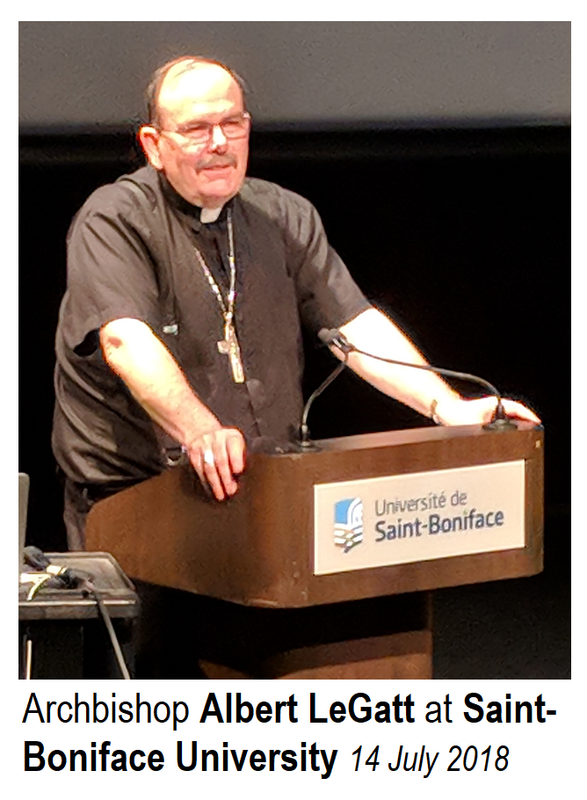 One of the highlights on Saturday were historico-spiritual lectures given by His Eminence Cardinal Lacroix at Université de Saint-Boniface. His lectures, truly inspiring talks filled with history and a powerful interpretation of the significance of the that history, included two lectures, a panel discussion-sharing and an open question-answer session at the end. 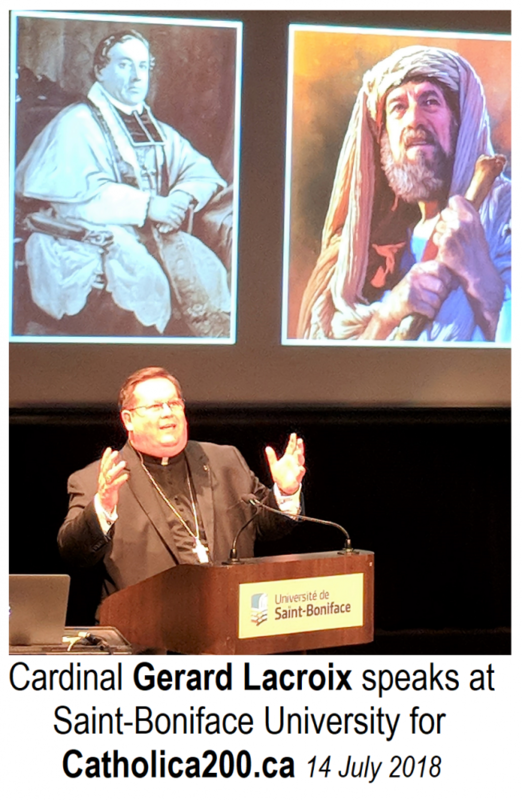 The basic theme of the presentations was "Standing on the Shoulders of Giants" during which he introduced the great historical leaders and saints of western Canada's Catholic Church and yet brought them alive to the audience. At one point he brought home a central point to his presentation when he asked everyone in the audience who wants to be a saint to raise their right hand. The response was surprisingly small. Then he went on to explain, in so many words, why every hand should be raised. On Sunday morning, at 7:00 AM. a group of people gathered one of the tepees or a tent village set up on the grounds of Archdiocesan centre on Taché Avenue. 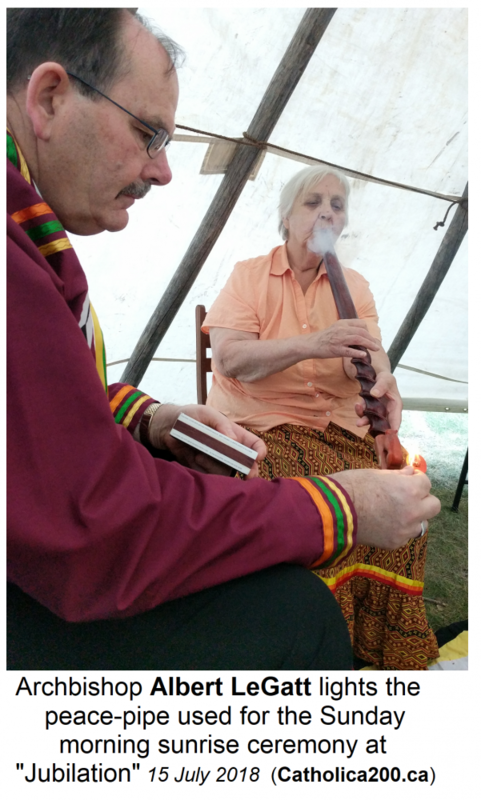 They were there for a sunrise event that include a smudging ceremony, use of a peace-pipe and prayers and sharing. Among the participants were Archbishop Albert LeGatt, some members of various women religious communities and lay faithful. Fr. Michael Kwiatkowski of the Archeparchy of Winnipeg also made the early morning event and was warmly welcomed.